Sarah oversees our middle school ministry, which includes mission trips, Sunday School, youth group, fellowship and more. 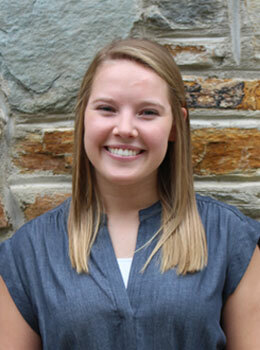 A native of Peachtree City, Ga., Sarah earned her B.A. degree in Religion/Christian Education from Presbyterian College. She loved serving as a summer intern here in 2017. Away from church, she enjoys kickboxing, reading, and finding good sushi.